Experiences of a Lifetime...of a Happy go lucky!! 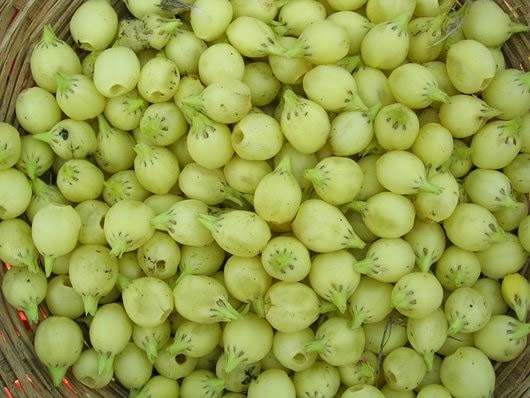 : Mahua..Sacred Drink of the masses..
What is the first question that comes to your mind when you see the plant below? A General guess would be a Forest tree Blooming..Normally that would be true..But not for this plant..
Why should Humans have all the Fun...Super high time!! 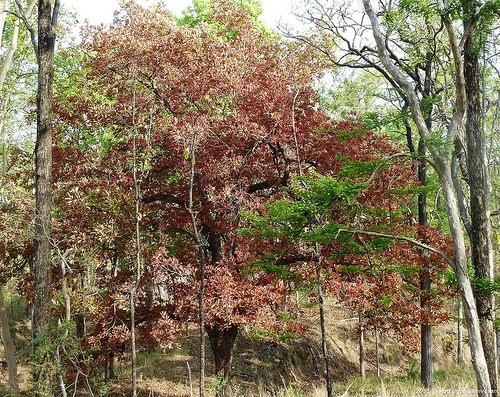 Its the Mahua Tree.. Guess what this tree is revered and it has Loads of uses..
Mahua not just a plant but much more..
are in dense fascicles near ends of branches, many in number and small in size with yellowish-white colour. The musky-scented flowers appear from March to April. Its been here for 100's of years much older than some European beverages. Magic Flowers which create Magical Beverage!! 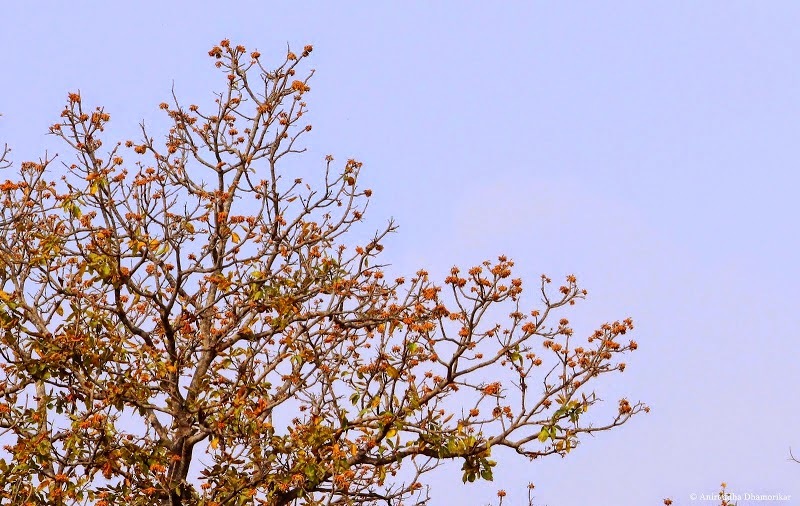 Mahua is made up of Dried Flowers of Mahua. The flowers are soaked & Fermented. A clay pot is used (Another Eco-Friendly Equipment) containing fermented mahua is set on a slow fire with similar smaller clay pot below it with holes is placed on a raised surface inside the pot. 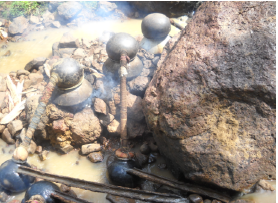 Atop the second pot is another vessel filled with cold water. The joints between the three pots are sealed with strips of wet cloth dipped in fine clay picked up from termite nests. The freshly prepared liquor has a strong smoky foetid odour, which disappears on ageing. 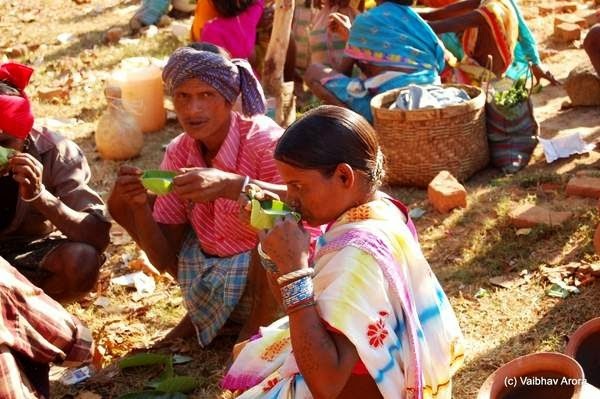 Pure Mahua has an alcohol content of between 20-50% depending on the dilution added to the drink. 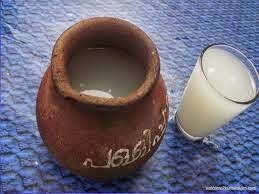 You can buy the drink almost everywhere in the tribal villages and forests. 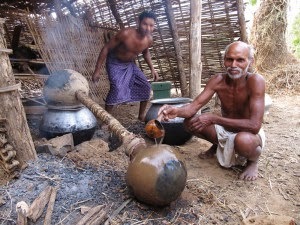 Generally the Mahua Liquor is sold in bottles or in leaf cups. Such an Eco-Friendly way to drink your Alcohol!! Mahua served on a Leaf..Traditional Way!! The Beverage is Served in markets in open market by Women..One can get it at Really cheap rates & Boy its good. In the areas where it is found it is much cheaper than the IMFL or Country Liquor. And in Indian society where Women Drinking is Abhorred Women folks actually socially drink this Drink. And they dont hesistate to have a drink or two. They know how to have a good time!! What i love about the Drink is its All Indian & Spread out widely in the country. Making it is easy Only i feel bad about it is its not marketed enough & produced Commercially.This may be due to the Legal Norms present. Unfortunately i havent had this Drink..Would love to have it soon. This Drink needs to be commercialized & Marketed as our very own Indian Beverage just like European Beverages. We should be proudly be saying this beverage is thoroughly "Indian Beverage" Just like people from Europe or any other country. Are you Hearing this it Dr. 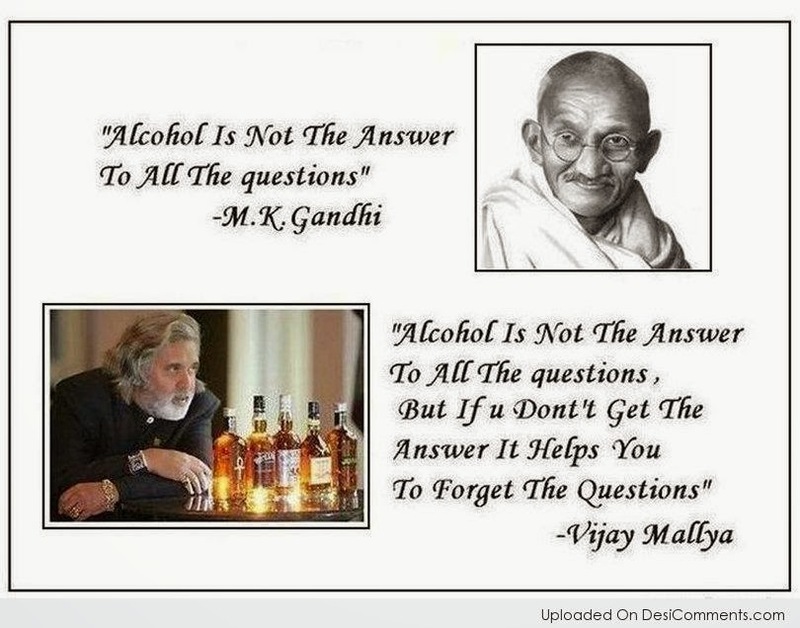 Mallya?? Felix Padel: ''It is surprising that Indians prefer French wine and scotch when they can drink fresh taadi, salpo, mahua or rice beer,'' (Professor of Anthropology the great-great-grandson of Charles Darwin). 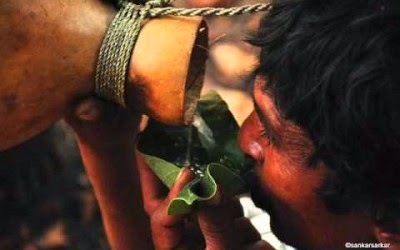 He finds unadulterated Mahua better than scotch for its better taste and 'kick'. It provides life sustenance for Locals for 4-5 Months in some extremely impoverished regions. So this Drink give you not only High but it feeds lot of families too.. So Do Try it sometime & know that we Indians can produce good Beverage too!! 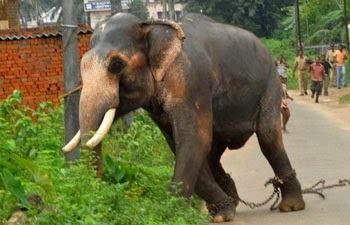 Its high time we sell it to the World!! PS: Although i dont propagate Drinking its Entirely an Personal choice or as you may want to put.. Drinking & Driving don't go hand in hand. Also Drinking of any beverage should be Limit!! Woaaah! Thats an awesome description! Didnt knw abt Mahua at all. Thank you Niks :) and the Pics are Fantastic! So this is what you were working for! Good work �� you have an eye for detail Nik.